How to Start a WordPress Blog the Right Way - Lets Work Online. 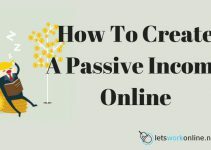 Are you toying with the idea of adding blogging to your online activities to make money? The world’s top bloggers earn as much as $2 000 000 a month. There’s no reason why you can’t aim for these huge figures too. For starters, let’s focus on the fact that it is possible to earn a living from blogging about your interests. You won’t get anywhere unless you take the first step. It all begins when you start a WordPress blog and here’s how to do it right. This post may contain affiliate links. This means, at no additional cost to you, I will earn a commission if you make a purchase. Please read my disclaimer for more info. WordPress.org is the choice of 95% of users who start a blog, and here’s why. The best reason to pick WordPress.org for your blog is that it’s free. “What’s the catch?” I hear you asking. Well, you will have to set up it yourself and also find and pay for hosting. Don’t worry, this is not as difficult as it sounds and I will give you a rundown on how to do this later. Lots of advantages with just a small cost for hosting. The free blogging platforms have just one big thing going for them: they’re free! There are platforms that provide free WordPress websites which can be a great way to get started. Getting familiar with the WordPress dashboard before having to pay anything isn’t a bad way to start! Apart from that, there are many downsides and restrictions with the free platforms, so they are not recommended. If you intend to make money from your blog, the biggest reason not to use a free platform is that your site will look unprofessional. Your visitors will quickly know you’re using a free platform. They may see adverts in the footer or header, the theme may look simple or generic and your domain name will be something like mywebsite.myfreeblogplatform.com. Another reason not to use free platforms is many of them don’t allow you to make money or have restrictions on how you can earn money with your blog. Compare that to a website built with WordPress on your own hosting – no adverts, a modern theme that can be changed at any time, a domain name in the form of mywebsite.com and you can make money as you like. I think you’ll agree the website built with WordPress will give a more professional and trustworthy impression to your readers than the site built on a free blogging platform. Creating a free personal or hobby blog on a platform like WordPress.com, Wix or Weebly is fine, but if you intend to earn money from your website then you will need to go for a paid option. And WordPress is my recommendation! If you’re new to WordPress you might be confused about the difference between WordPress.com and WordPress.org. The main difference is who hosts your website. This article explains the differences between WordPress.com and WordPress.org very well. 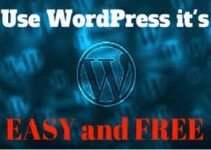 You can start a blog for free with WordPress.com but there are many restrictions. Then if you start upgrading to remove the restrictions it can get quite expensive. So go for WordPress.org and a self-hosted website as your blogging platform! If you are up for a (small) challenge, read on to see how easy it is to start a self-hosted WordPress blog. The first thing to consider when starting a WordPress blog is what your site is going to be about. Many online guides to setting up a website say the first step is to choose a name for your blog. But choosing the subject or the niche first is the best way to proceed. The subject of your blog may have some effect on the domain name you choose. When deciding on your niche, pick something you enjoy, are interested in and won’t get bored learning about. This post gives you some more insights. Once you have decided what your website will be about you need to choose a name for your blog. This is called a domain name in internet-speak. See my tips for choosing a domain name to get you started. No need to buy your domain name now, you can get a free domain name with many web hosts. Next, your blog needs somewhere to live on the internet. Web hosting is how your website or blog gets to be on the internet. Without a domain name and hosting your website won’t be found online and or get any traffic. If you’re just starting your first website you can get hosting, training on setting up a money making website, support and all the tools you need on one platform. This has a cost that’s greater than simple web hosting but is what I recommend for newbies. 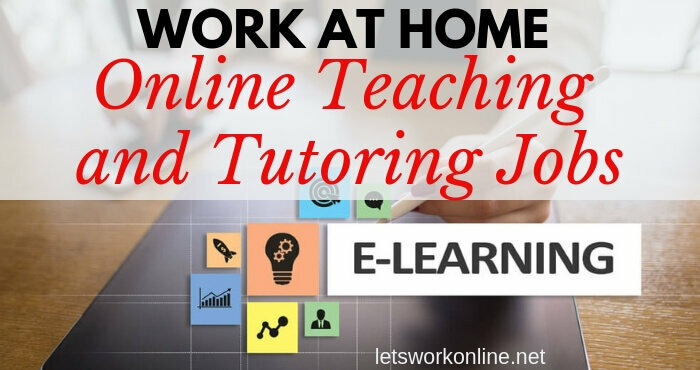 You can read more here about this training/hosting platform. Back to finding hosting. I receive a small incentive if you sign up for Bluehost from this link but I have no qualms in recommending this hosting service in any case. They are officially recommended by WordPress, their rates are great and you can be all set up in well under an hour with the one-click WordPress install. Open up the Bluehost link in a new tab and hit the green button to get going. Next, select the plan that best suits you. You will be asked to enter your domain name and your account information. It’s all set out in easy to follow steps. You can pay for 1, 2 or 3 years upfront. The longer you pay for the less you pay per month. Along the way, you will come across a number of add-ons that you can purchase. The only one that I would opt for is domain privacy. This will help to keep your personal information private. When you have completed the procedure, you will receive an email with instructions on how to login to your very own web hosting control panel (cPanel). Now to set up WordPress. Go to you your cPanel and scroll past all the other diversions and icons to the website section. Click on the WordPress icon. You will be redirected to Bluehost’s marketplace Quick Install screen. Hit ‘Get Started’. Now, choose your domain name from the drop-down menu. If necessary you can edit the email address, username and password for the WordPress installation, read the license and service agreements, check all the check boxes and click install. This video runs through the process. Don’t worry about browsing all the themes while WordPress installs. When you see the ‘success’ announcement pop up on your screen, proceed to the Installation Complete link. You will be redirected to your WordPress username and password page. That’s it. Welcome to the World of WordPress. You are recommended to take advantage of the free SSL certificate that is offered with the Bluehost hosting. This option is only available when your domain registration is complete which may take a few hours. To install your SSL certificate is quite easy. That’s it! It may take a few hours to install and activate. It makes your brand more trustworthy. As you can see in the image above the browsers now show your visitors if you have an SSL certificate or not. Google may alert people if a site isn’t secure. Anything that makes your visitors feel more secure should not be neglected. It may slightly help your search engine rankings. You are now the proud owner of a WordPress site. It’s time to make it your own. This is the fun part. The default WordPress theme is very uninspiring. Fortunately, you have thousands of themes available to you when you start a WordPress blog. Some of these are free and some you will have to pay for. To change your default theme head on over to your WordPress dashboard and click on Appearance, then Themes. Select ‘Add new’. A new page will open where you can select from over 4100 free WordPress themes. You don’t have to scroll through them all. The sort function lets you order them according to industry, popularity, layout etc. Take time to select a theme that suits your brand when you start a WordPress blog. If ever you’re not happy with your theme it’s easy to change. Choosing a theme with all the bells and whistles will slow down your site speed. Keep it simple. Make sure the theme you choose has the same impact on any device or screen size. 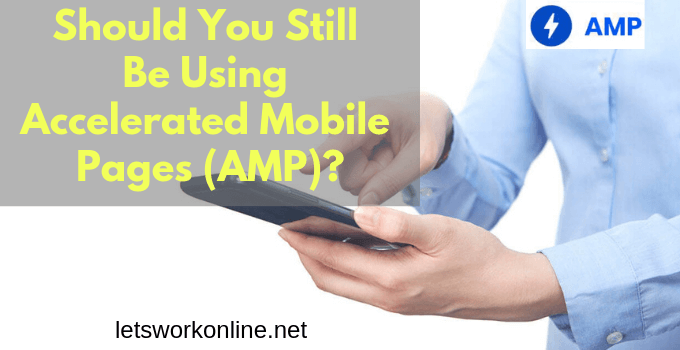 There’s no point if you start a WordPress blog that is incompatible with mobile devices. You can check out how your blog looks to various users by resizing your browser screen. The official WordPress themes have been tested for compatibility across all browsers. You can easily test this yourself though by viewing your site with a range of different ones. If you need to add extra functionality to your website you will need to explore the many plugins at your disposition. There are literally thousands available allowing you to add more or less any function you require. WordPress plugins allow you add features to your website such as image galleries, sliders, social sharing, contact forms and much more. The only word of warning would be not to add too many plugins as they can slow down your website. And as the speed of your site is a ranking factor you don’t want to slow down your site. Only add plugins when they are absolutely necessary. Make sure your selected theme is compatible with the plugins you need to run your site. You can select which ones you need when you start a WordPress blog or add them at any time when you need an additional function. Once you have decided on a theme, hover over it to get access to the ‘install’ button. Click and wait, once you have installed your theme you need to press ‘activate’ to apply it to your blog site. When you have reached this stage you are free to customize your site as you please, using the ‘Customize’ option on the Appearance tab. At this stage, there are some important steps you should complete before you start adding content to your blog. You can read about these steps in this post – Important things to do after creating a new blog with WordPress. When you are happy with your set up, you are good to go. From your WordPress dashboard, press Posts, then Add New. A browser page will open where you can type away to your heart’s content. You can write and edit your blog right there in the editor area. It won’t be published until you say so. Use the posts screen to categorize your blogs and add images and tags to your work before publishing. The video below takes you through the process of writing a post, adding images and the different features on the WordPress dashboard. 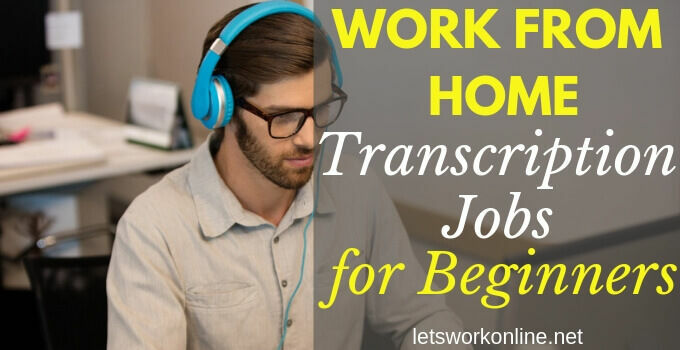 If you hone your skills and become a popular blogger with a large following you may even be offered further blogging gigs or be asked to speak at conferences and workshops. You may even receive an offer to purchase your successful blogging site. All these things take time and hard work, so don’t be discouraged if your first attempts fail. It can take years to find your own magic formula. Setting yourself up for blogging success takes planning. Decide how many blogs you will publish every week and plan ahead to complete them in time. Ideas are elusive things and have a habit of popping up at unexpected times. Keeping a notebook handy to write down any inspiration as you go is a great idea for bloggers. If you prefer a tech approach, send an email to yourself from your smartphone. There are also many android and ios-compatible apps available online to help you keep track too. Set aside manageable time frames each day for writing so you can reach the targets you have set for yourself. A quiet place where you can work uninterrupted is vital. The final step before you hit the publish button is making sure that your blog is everything it can be. Here’s a blog checklist to help you. Before you unleash it on the world, scan over your work one last time to make sure you haven’t missed anything. The extra effort will pay off in the end. You are not alone. I love to help people make their affiliate marketing dreams come true. Keep checking back on my blog for regular updates and tips to help you succeed. If you’re not confident of starting on your own, my free 5-day course can help you to get started or you can follow the training at my #1 recommended training platform. Blogging can bring you online success or help an existing business. Keep at it, work with determination, be patient and before too long you will see the success you deserve. I hope this guide has helped you to start a WordPress blog quickly and easily. Remember you will learn many things by taking action, so now it’s up to you. Let me know how it goes, ask any questions, or share your tips on how to start a WordPress blog in the comments below. Great review on how to start a wordpress blog. I was still a little confused about the difference between WordPress .com and .org. Thanks for clarifying that up. I really love idea that anyone can make money talking about subjects they are passionate about. And the good thing is you can make as much money as you want by doing this. I doubt you can find a job anywhere else in world similar to this. Thanks again for showing all advantage of starting up a WordPress blog. Thanks, Michael. WordPress.com and org are very different. 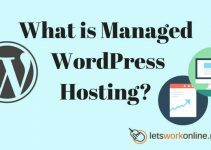 WordPress.com is great if you want a free personal blog but if you intend making money from your website better to get your own hosting and install the WordPress software. The first step is to decide what you will be blogging about. Choosing something you are passionate about will make it much easier and more enjoyable. 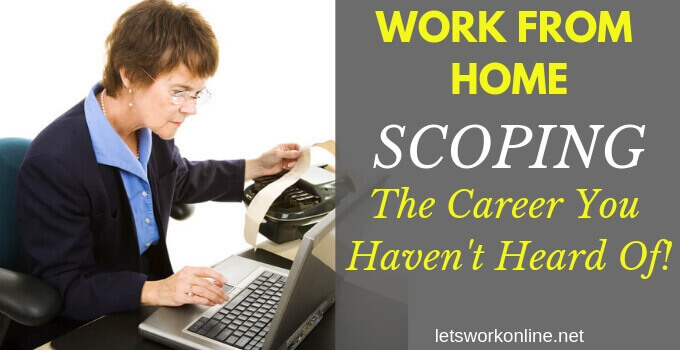 If you keep at it the money will come, it’s not easy but is a great way to earn a living. most other articles ive read centered around blogging have been very vague in the sense that they gave lots of general tips but didn’t go into specifics. whilst these can be helpful i would much prefer to be given real actionable tips. your post did just that and gave me essentially a step by step to getting my blog up and running which was extremely useful. Glad you found the post useful Joseph! I hope you have your blog online, if you need any help let me know. WordPress was ths first blogging platform I’ve started with and it’s the best one! I tried using a couple of other platforms but they were not as good as wordpress. I love wealthy affiliate, because it’s the best place to learn how to make money blogging! All the needed information and training is right there! Yes, WordPress is my preferred blogging platform. Some of the other platforms like Wix or Weebly make it very easy to get started but then it can be difficult to add different functions to your blog or even to change themes. 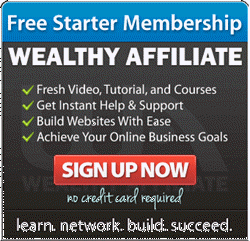 Wealthy Affiliate is an awesome platform to learn about building an online business with great step by step lessons, an easy to use website builder, managed WordPress hosting, a keyword tool and support from the helpful community. 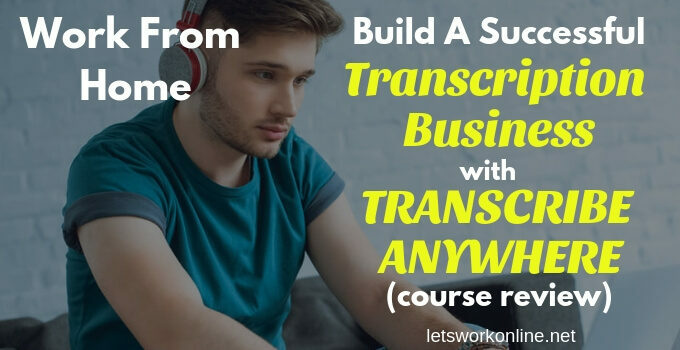 With the free membership to get started, it’s an excellent choice to both learn how to use WordPress and build an online business. That link to the top earning blogs is the one that caught my eye. And upon checking, I was overwhelmed! Wow, they are making big money out of blogging! I noticed that you are promoting BlueHost. I used to be a customer of them about 5 years ago. May I ask, do they have monthly payment plans now? Or, still with monthly but paid yearly? Yes, there are some people making a lot of money online! Bluehost does not have the possibility of paying monthly, you can pay for 12, 24 or 36 months. The cheapest price is for 36 months. I can understand this could put some people off. When you’re starting it’s sometimes good just to test the water and having to sign up for 12 months could be too expensive for some people.